We have created Spanish Sentences with English translations and grammar explanations to help guide beginners of the Spanish language in the easiest way possible. This teaching resource can be used for free by schools, teachers and tutors. 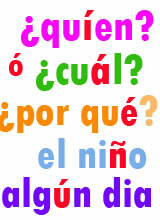 Our sentences in Spanish are ideal for lesson planning and homework help. This website provides useful help and guidance for kids, beginners, tourists or anybody learning how to speak, understand and write in Spanish. In this section, we are going to teach you how to write and how to form Spanish Sentences correctly. The grammar rules are different to the English language so there are some important grammatical terms to learn before you begin making Spanish Sentences. For information about forming verbs and sentences, refer to our home page verb section, otherwise, please continue further down this page for important grammatical facts and information about constructing and writing sentences.